Imly is way too famous these days for its unique design and interiors. It is a wonder for vegetarian-friendly outings and its chaat game is just on point. 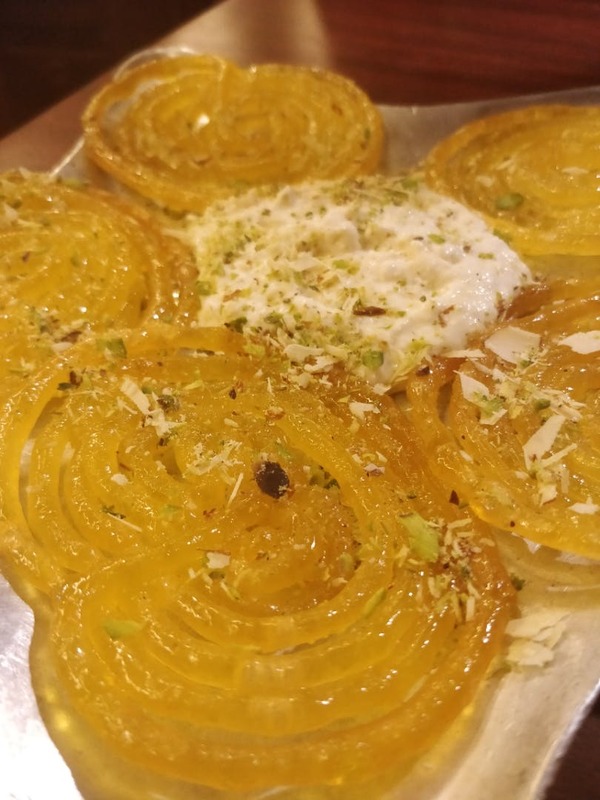 I just went there to satiate my craving for their legit Jalebi feat. Rabri and I just weren't disappointed. Thanks to Zomato Gold, I also ordered their Boondi Rabri, which was way too sweet but it tasted nice. The dessert was hot and would definitely taste better if consumed in winters. I've been to this place before. Their presentation is its forte but the taste and quality of their food are equally good.